Albion youngster Callum Morton has been named in the Non-League Paper's National League team of the day after scoring a last-gasp winner for bottom-club Braintree over high-flying Salford City. 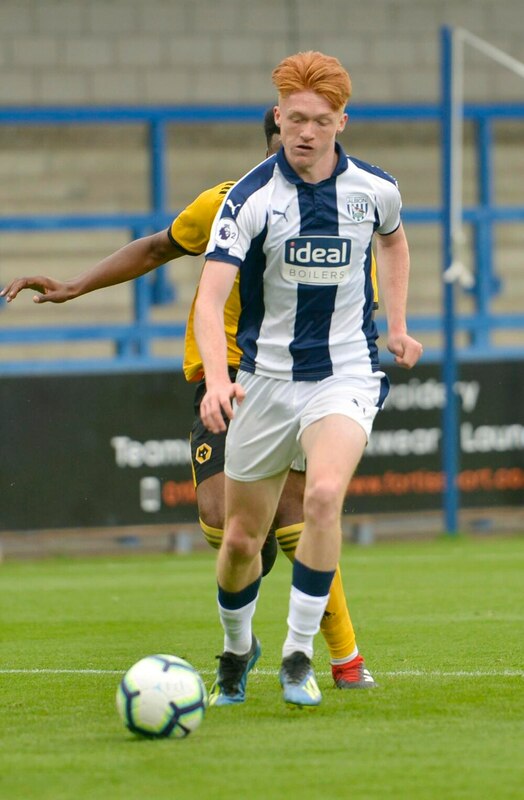 Callum Morton in action for Albion under-23s. Morton, 19, joined the struggling fifth-tier side on loan in December, and has already scored five goals for the Essex outfit. He's got four in his last three league games after following up a hat-trick against Barnet with a memorable 94th-minute winner over promotion-hunting Salford, the team owned by Manchester United's legendary class of '92. Morton had already been named Braintree's player of the month for January, and now he's been included in the Non-League Paper's team of the day. However, Braintree remain eight points from safety because four teams are relegated from the National League. Morton is just one of several Albion youngsters out on loan this season. Defenders Dara O'Shea, 19, and Kane Wilson, 18, both played the full 90 minutes for Exeter City in a 1-1 draw with League Two promotion rivals, Carlisle United. Midfielder Alex Bradley, 20, made his EFL debut as a substitute for League One Burton Albion in a 2-0 win over AFC Wimbledon. Oliver Burke, 21, continued his impressive form north of the border with two assists for Celtic in a 5-0 win against St Johnstone. Midfielder Nick Clayton-Phillips, 19, played 70 minutes for Kidderminster Harriers in a 4-1 win over Chester in National League North. Right-back Dan Meredith, 19, played 50 minutes for Maidstone United in a 1-1 draw against AFC Fylde in the National League.